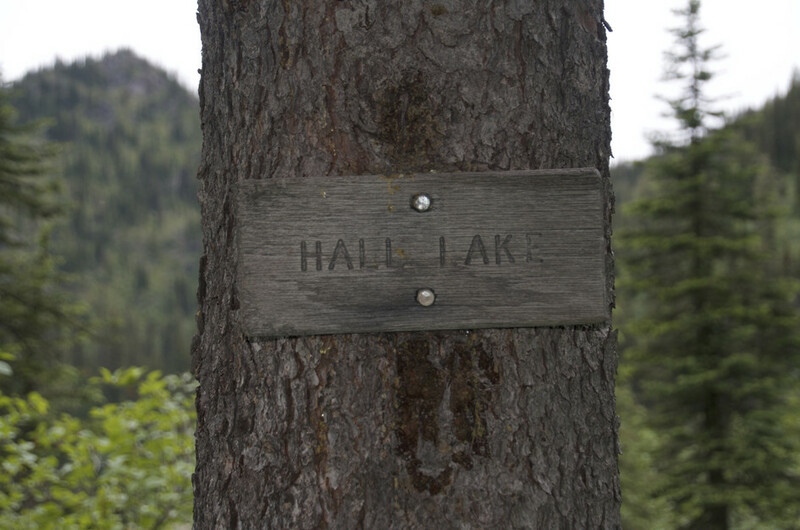 If you find yourself in the Swan Valley area and want to get away from the Holland Lake tourist traffic, the hike to Hall Lake is a great option. 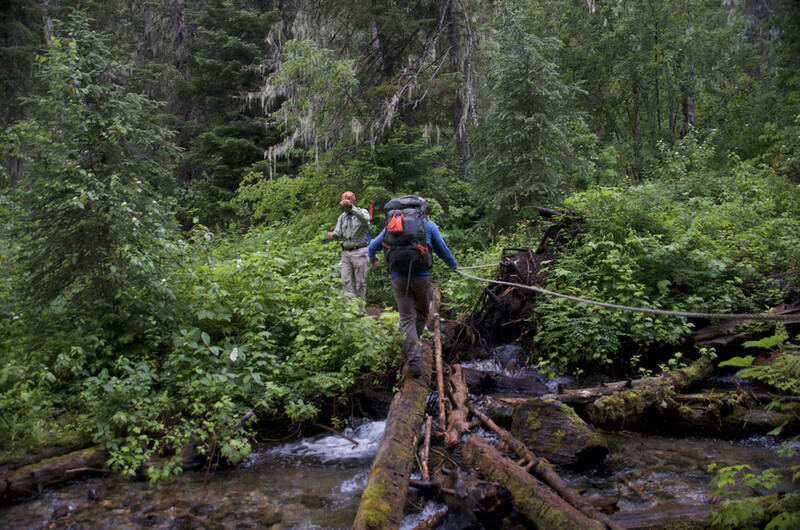 The gradual four mile hike takes you through thick, brushy forest and ends at a remote lake full of trout. From Bozeman, head west on I-90. Take the MT-141 Towards Avon, then head north on MT-83 towards Swan Lake. Shortly after entering the town of Swan Lake, look for Fenby Lane on your right. It is an inconspicuous gravel road right behind the Laughing Horse Lodge. 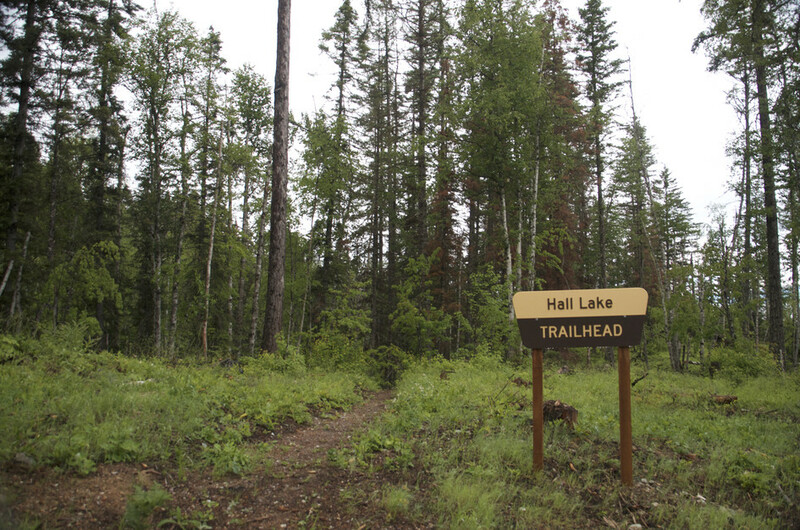 Drive through a bit of a residential area for a little over a mile, following the signs for the Hall Lake Trailhead. This is a long day hike that is mostly uphill, but the climb is gradual. 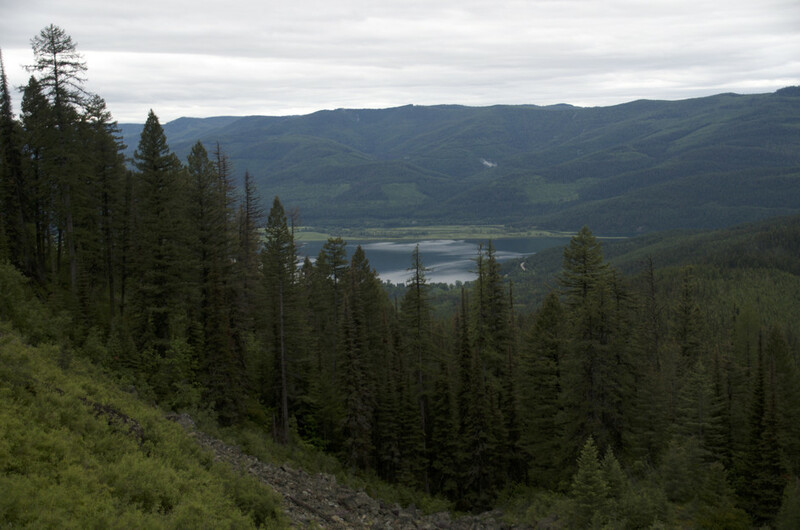 Averaging roughly two miles per hour, this hike will take you over just two hours to get to the lake, and just about two hours to get down. 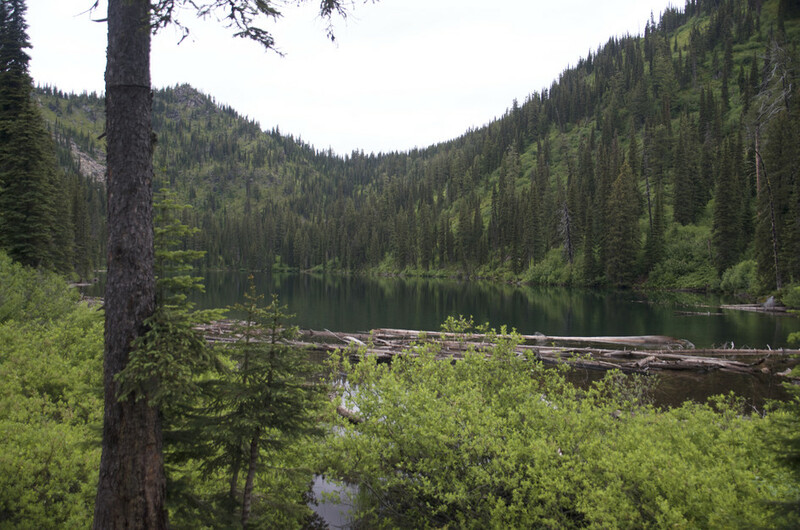 Be sure to account for some extra time fishing and bushwhacking your way around the shores of the lake. 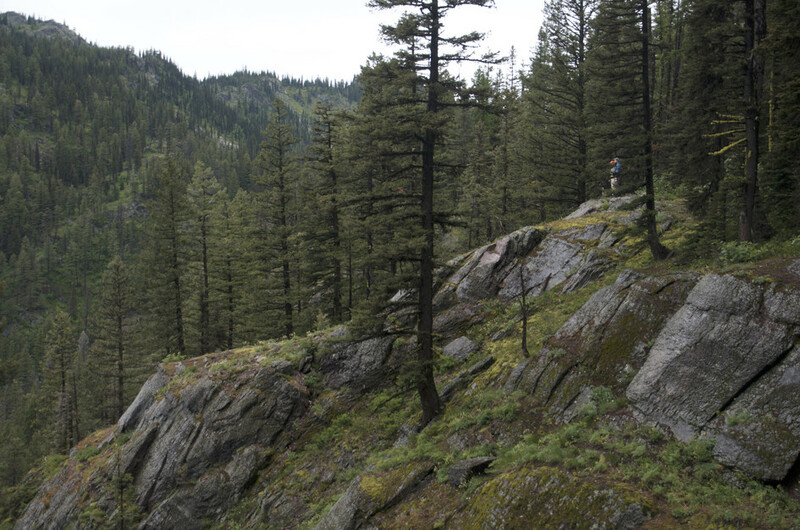 This route starts at 3504 feet above sea level and ends at 5361 feet. The lake is beautiful, but the shores are very overgrown which can make it difficult to fully enjoy. 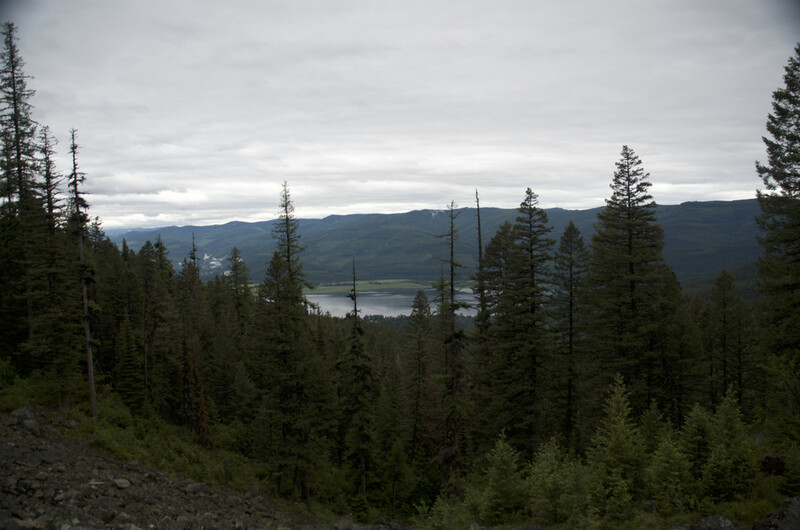 The trail ends at a small campsite which is about the only easily accessible place to get a view of the lake from the shoreline. If you plan on fishing, you're sure to catch a few, but you'll have to work to get to the shores. 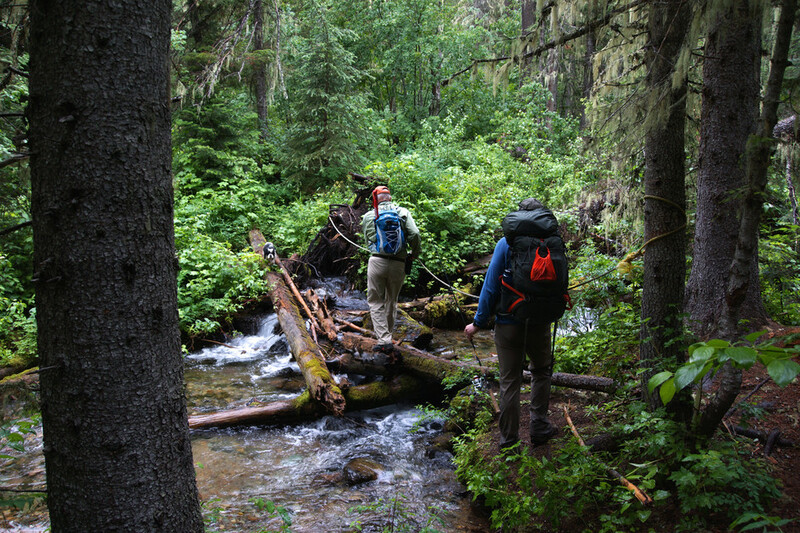 With a few stream crossings and a lake at the end you'll find plenty of opportunities if you need to purify water along this hike. 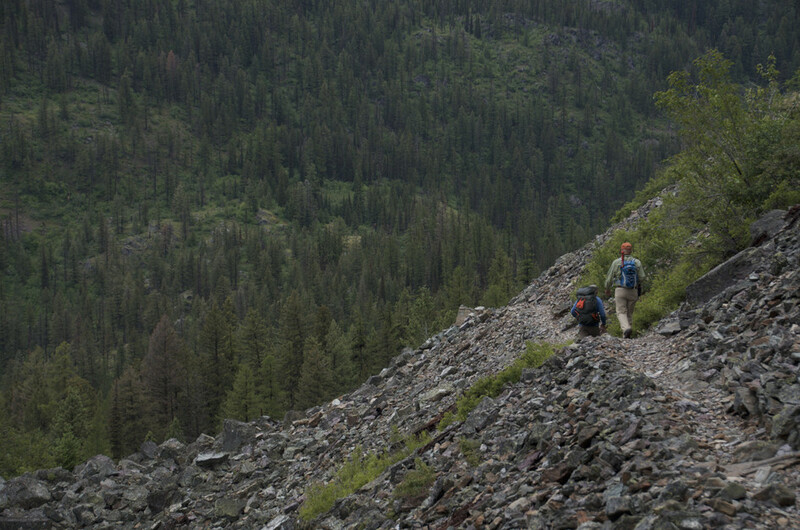 This hike is long enough that you'll want at least a snack or a small meal to eat along the way. Almost the entire trail is lined with overgrown brush. There's plenty of shade and water for your pooch along this hike. There's a little over a mile of gravel (Fenby Lane) before you reach the trailhead. It's in decent condition and is passable with most cars, but be advised it is steep at the end. Very wet or icy conditions could make the road slick. 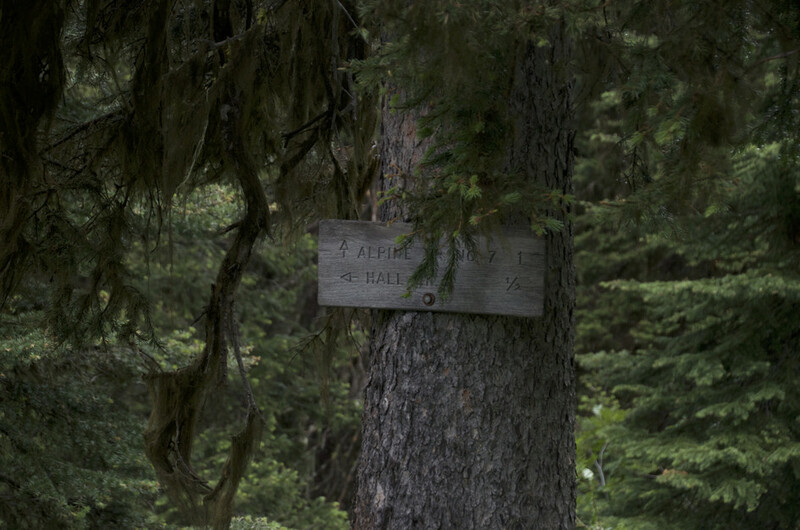 Cairn Cartographics has a Bob Marshall Wilderness Complex: North Half Map that covers this hike in its entirety. 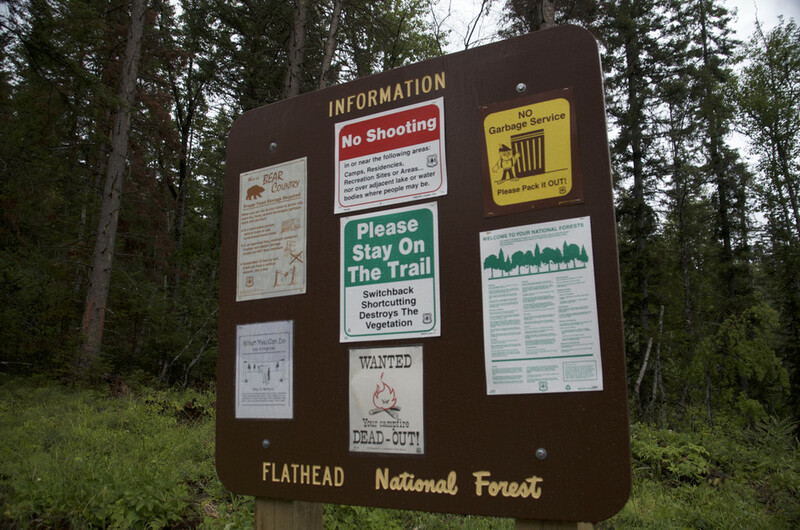 The United States Forest Service also covers this hike in their Bob Marshall Great Bear and Scapegoat Wilderness Areas map. The parking lot is large, and the hike is quiet. You'll have no trouble finding a spot. This is a quiet trail. Even on a summer weekend you might have it to yourself. 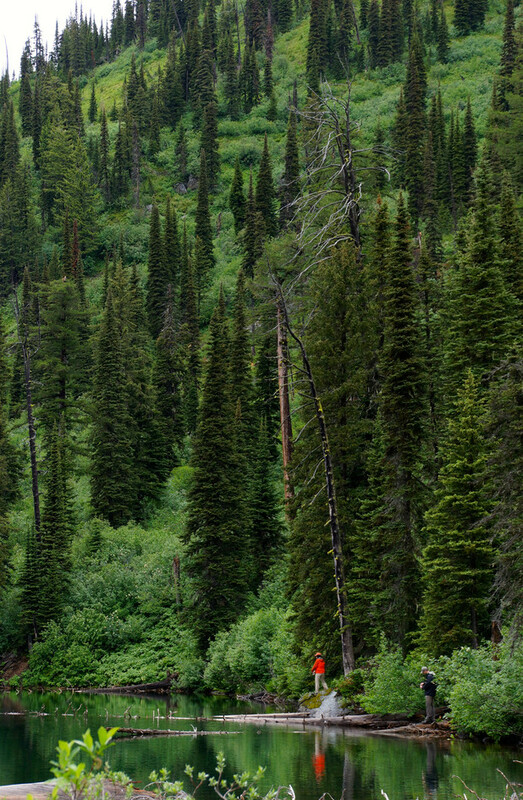 Because the vegitation around the trail is so dense, pants are definitely recommended. If it has rained recently, consider waterproof rain clothes to stay dry. Waterproof hiking boots are recommended for this trail. 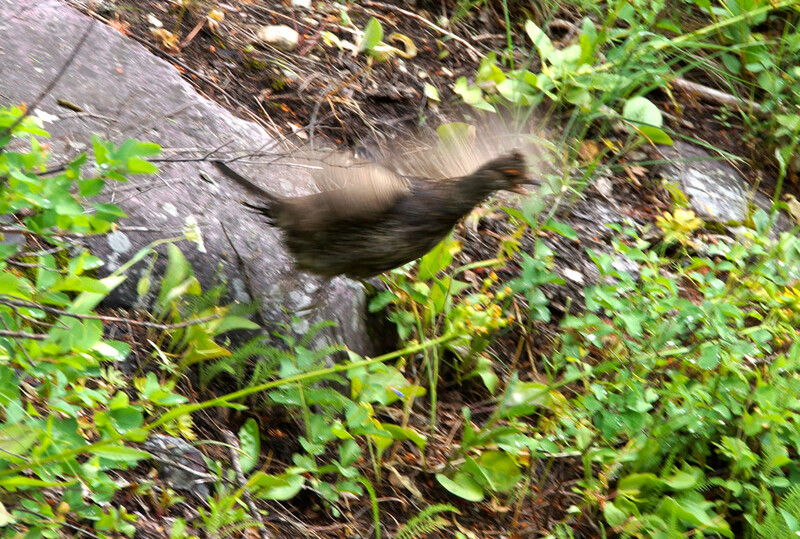 Especially in the wetter parts of spring and early summer, there could be mosquitoes along this hike. Bring bug spray if you plan on relaxing. 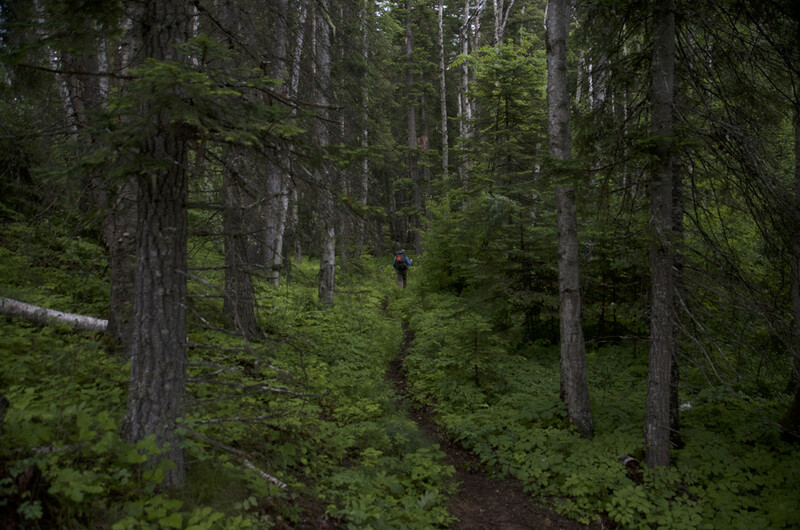 You'll be in the shade and walking through dense vegitation for almost the entire hike. The dense vegitation makes for finding an impromptu tent spot difficult. There's a well used site near the lake and it opens up a bit just past the water, so start your search there. Continue past Hall Lake on to Trail 7 for a series of connections. 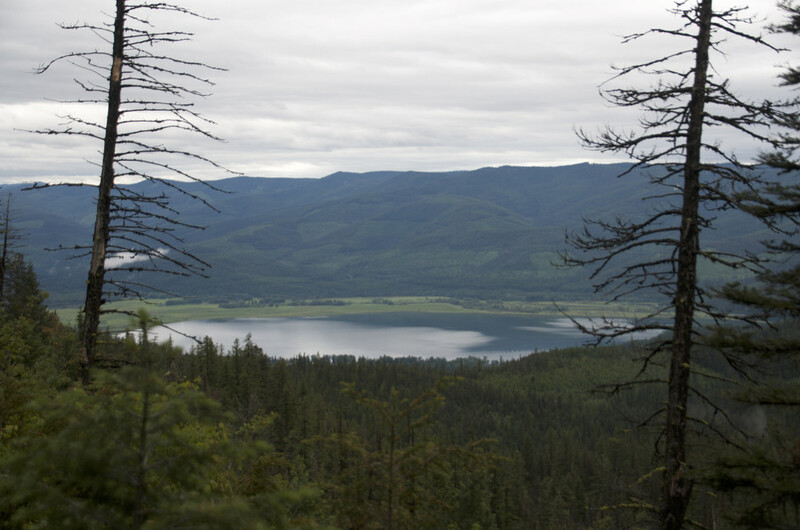 Hook to the southwest to do a near loop on SixMile lookout trail, head east to see Trinkus and Bond Lakes, or keep going north to end at the Posy Creek trailhead.